Whitelisting is a simple process that you can do to ensure that our newsletter, Options Trading Research, arrives safely in your email inbox everyday. 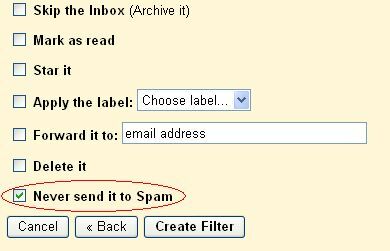 Because spam has become such a widespread problem, most email providers use blocking and filtering software that is designed to stop spam from getting to your inbox. Unfortunately, sometimes email you do want to receive (like Options Trading Research) falls into this trap. 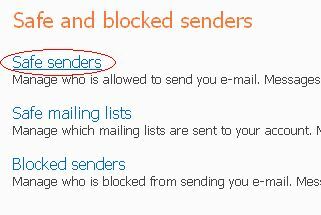 To help you do this, we’ve listed the most popular email providers below with instructions on exactly what to do. Once you take a few quick minutes to do this, your subscription to Options Trading Research should continue uninterrupted for as long as you’d like to receive it! Of course, every e-mail system is different. 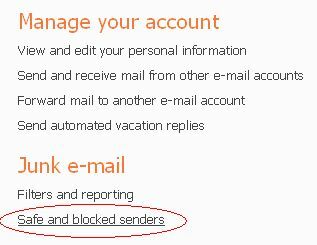 Below are instructions for some of the more popular ones, including AOL, Yahoo, Hotmail and Gmail. If your email provider isn’t listed here, please contact your ISP’s customer service department for their instructions. To ensure that you continue to get your e-mails from Options Trading Research, please add our e-mail address to your AOL Address Book. It’s very easy to do… here’s how in 3 quick steps. You will now receive your Options Trading Research issues with no interruption. Thank you for whitelisting us. 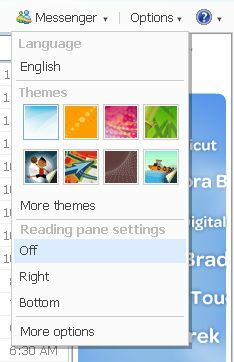 Simply click on the button at the bottom that says, Save. That covers basic whitelisting instructions for most of the “big” email providers out there. If you don’t see your provider listed, and our email just isn’t getting through, please visit our ‘Contact Us’ page and send us a message. We’ll be happy to try and assist you! Thank you for whitelisting Options Trading Research!